144-page Workbook and One 130-minute DVD - No Audio. 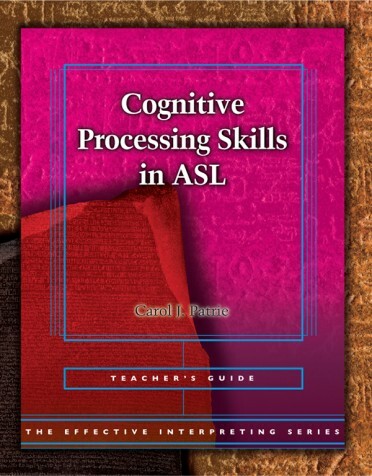 Cognitive Processing in ASL allows you to develop and hone the skills required for a comprehensive understanding of and flexibility with ASL before you attempt to interpret the message. 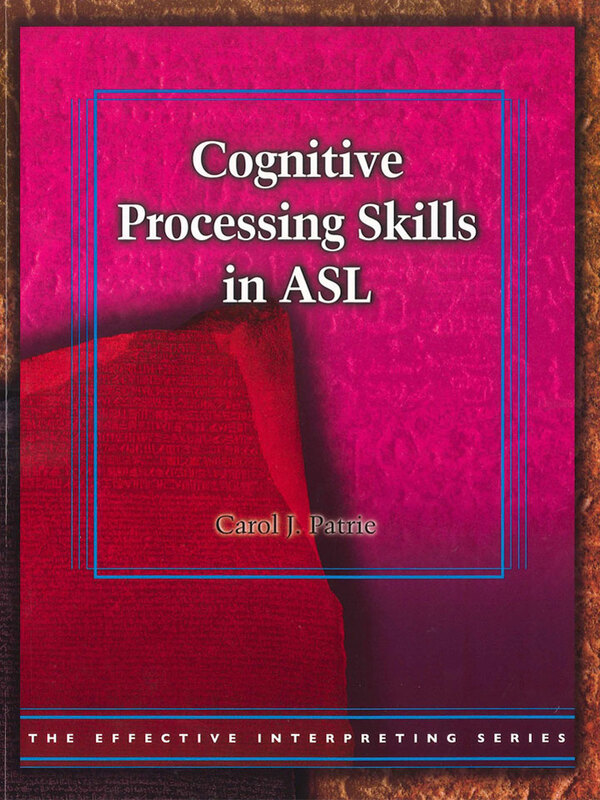 Allow Cognitive Processing in ASL to help you to master these skills, and make the interpreting process as effortless and possible! 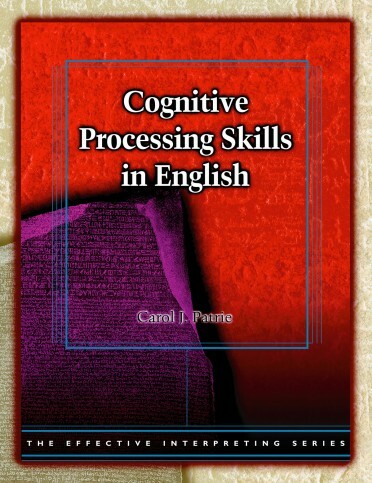 The Effective Interpreting Series is a multi-installment series offering five sets of source materials in English (to use with any language in a language pair), and five sets of source materials in American Sign Language (ASL). 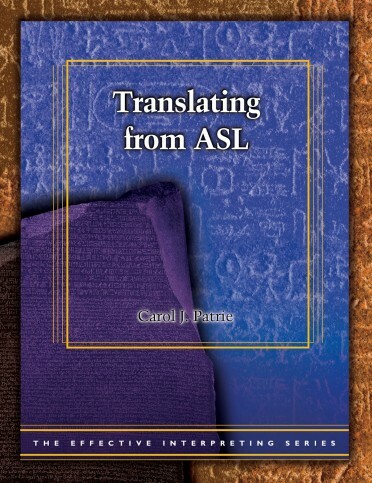 The series takes the complex skill of simultaneous interpreting and breaks it down into manageable components, allowing interpreters to increase the individual skills that lead to effective simultaneous interpreting. 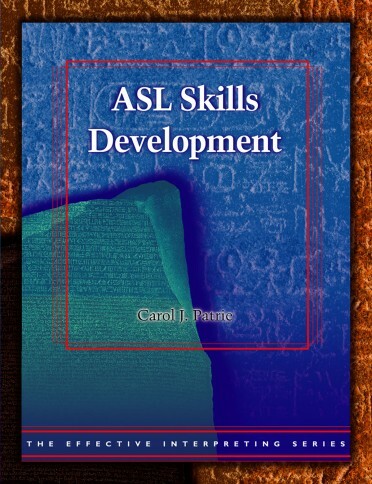 Use these innovative step-by-step self-study materials to enhance your mastery of ASL and become a more effective, confident interpreter.